During this season, we take time to give thanks and count our blessings. This year I certainly have much to be thankful for. As you may know, 2017 was a challenging year for me. So, when I attended On Stage, I did not expect to receive any recognition or awards because I had taken some time off during my treatment for breast cancer. Imagine my surprise when Top Demonstrator Recognition was being announced and my name was called!!! I found out that I ranked number 35 in the United States and number 74 in the world. Since there are almost 50,000.00 demonstrators globally, I realize that this is truly something incredible. What an honor! During my treatment, there were so many people who helped to keep my business running. I am so grateful to everyone who encouraged me, prayed for me, helped me, placed orders and supported me. I wouldn't be receiving this honor without such kindness and loving support. It wasn't just the special recognition that made this On Stage special, there were so many fun and memorable moments. Here are some of the highlights. We stayed at our favorite hotel, the Marriott at City Creek. Here is the view from our room of the beautiful City Creek Shopping Center. When it was time for the general session to begin we could always count on Martha to be in line early to scope out the best seats. Can you spot her waving to me in this picture? 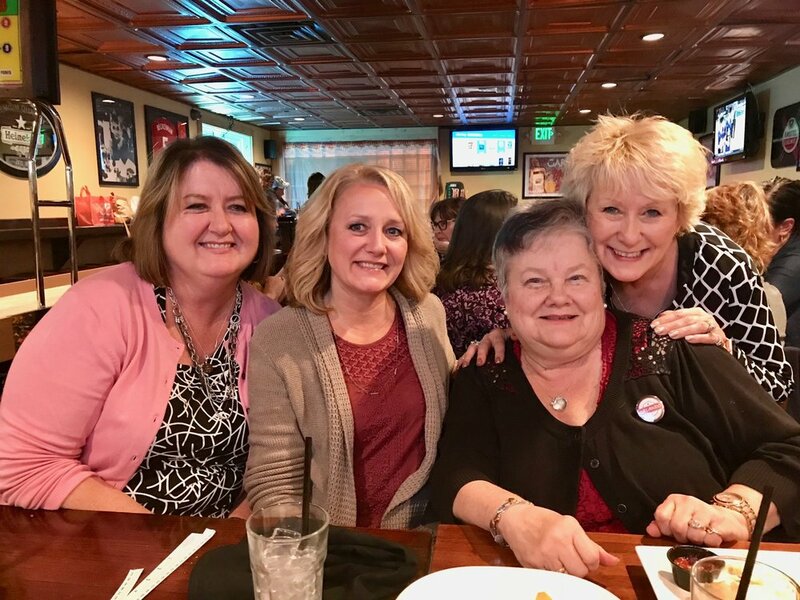 It is always fun to gather with my Stamped With Aloha ohana. Once again this year our team uniform came from Manuhealii. We always get so many compliments on their beautiful designs. People especially love how we all choose the style of top or dress that we like best. It was nice to run into our demonstrator friend Brenda who had also shopped at Manuhealii when she was vacationing in Hawaii a couple months ago. Looks like she liked this same pattern too, but chose a different color. The main stage presentations and classes were all incredible from start to finish. The prize patrol was great too. I won this gorgeous new stamp set called Beautiful Day. Here is one of the samples that was on display. 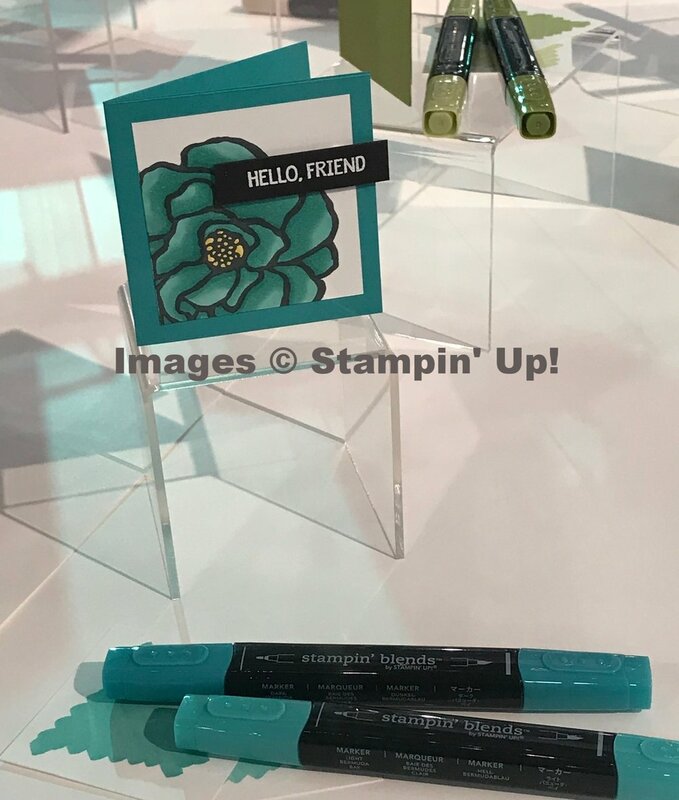 It shows how awesome this stamp set looks when colored in with our new Stampin' Blends. I loved seeing all the smiles of demonstrators who received special recognition as they marched across the stage. What a happy moment it is, especially when you see friends you know and love being honored for all their hard work and dedication. On one of the evenings we had an advisory board reunion. It was so much fun to catch up with these special sisters. These lovely ladies are such talented swappers. Swapping with this group is always one of the highlights of our get togethers! I really enjoy the sharing, love and encouragement that happens when we spend time together. On Stage had many sweet moments, like spending time with Zeny who was especially thankful to find ice cream since it is her favorite treat! If she could eat ice cream with every meal, she would. 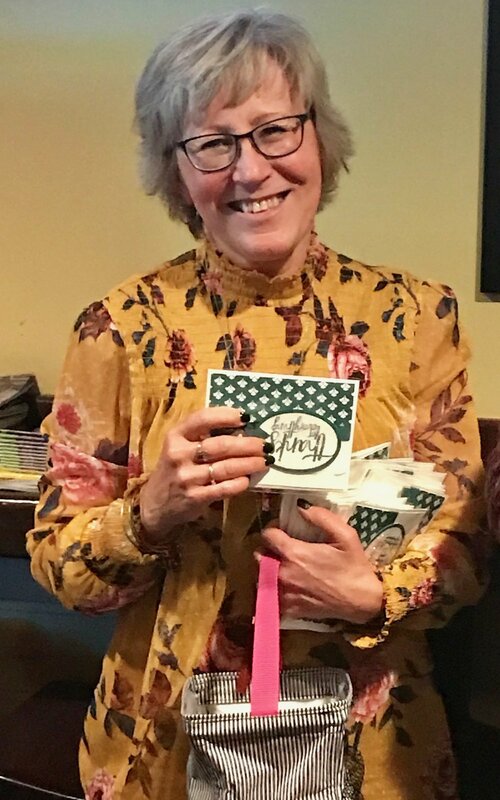 One of my favorite moments at On Stage was when I witnessed a lady we didn't know, give her reading glasses to Kathy simply because she overheard Kathy say she forgot her glasses and couldn't see. It's moments like these that remind me how fortunate I am to be a part of the Stampin' Up! family where I get to witness firsthand the kindness, generosity and caring hearts of my sister demonstrators. I'm glad I was able to record this special moment shared between Kathy and Cyndi. There were many smiles and happy faces especially when greeting friends who we haven't seen in awhile such as my sweet friend Missy pictured below. There was also a HUGE amount of excitement over our newest tool, the Stamparatus. Have you heard about it? It is an innovative Stamp Positioning tool that will change the way you stamp! Here's a video where you can learn all about it. If you would like to order one of these tools they are currently only available by making a reservation. You can reserve one by logging into my online store December 5th, 2017 at 2pm (MT). Please know that this tool is extremely popular so if you aren't able to get one on the 5th there will be another opportunity on January 15th, 2018 at 2pm (MT). If you need more information please email me privately and I'll be happy to assist you. Well, I hope you enjoyed hearing a little about my adventures in Utah. On Stage was a fabulous event and I feel so blessed that I was able to attend and share such a special time with so many amazing people! I really,really, really do have A LOT to be thankful for and one of those things is YOU. Thanks for taking the time to read this and allowing me to share my adventures with you.